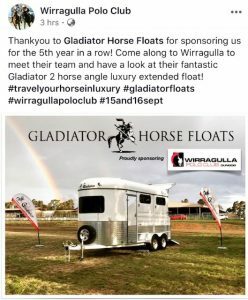 Gladiator Floats will have a 2 Horse Angel Luxury Extended Horse float on display at the Wirragulla Polo Club at Tabbil Creek Polo Ground, Cemetery Rd, Dungog. 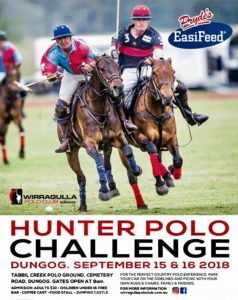 We are once again a proud sponsor of the 2018 Hunter Polo Challenge that is held annually at Dungog. This is a great opportunity for people from the central coast and surroundings to view a Gladiator Float and have a chat with Yvonne that will be at the float all weekend. Looking forward to a great weekend of polo playing at the 2018 Hunter Polo Challenge and showcasing the Gladiator 2 Horse Angle Luxury Extended Horse float in the lovely Hunter Valley !